I know there will be at least one crumble and a cocktail or two in my future. Hooray! 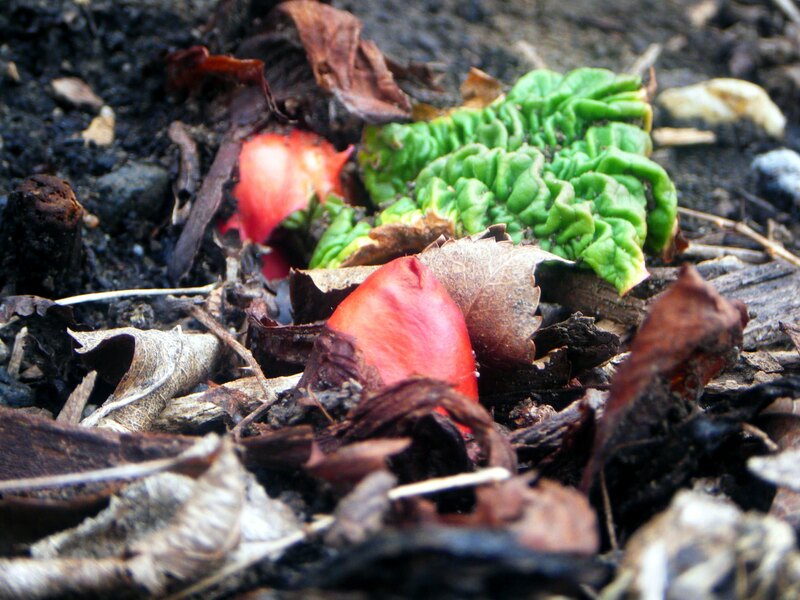 Maybe someday I’ll plant rhubarb- prolly when we get a real house with a real yard. I still need to get my seeds for my spring planting! I’m still seed searching, too. I have a few seedlings in the kitchen window; we’ll see how they fare. I love that rhubarb is a perennial. Every year, more food!